A nice A-line cardigan that will keep you nice and warm in the fall/winter. Side pockets. 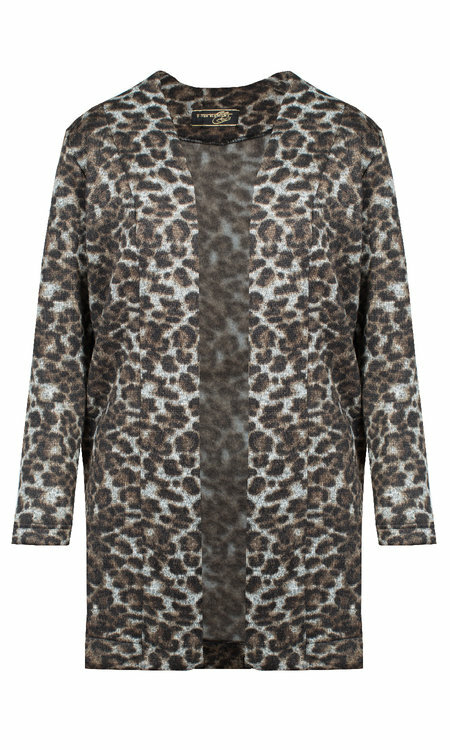 Available in black or brown animal print. You'll also find Gracie hat and poncho.